There are no weather updates for today. Memorial LL is chartered with Little League International. Welcome to Memorial Little League! It is time to begin working toward the 2019 baseball season - after all, the snow is flying right now . . . Please email MemorialLL@creativeimpulse.biz if you have any pre-season questions. The official registration period for all divisions begins on February 1st, so check back then and make sure to sign up early. Early registrations are very important, because they allow us to get a more accurate picture for how many teams we will need - that allows us to plan better and to keep the season running smoothly. 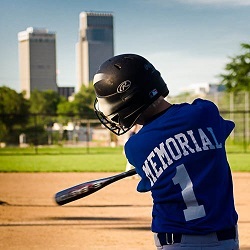 It's pretty clear: Memorial is the #1 place for baseball and softball in Omaha. One thing which has not and will never change, though, is the commitment of Memorial LL. We are committed to establishing a fun and safe place for children to play ball - children of all shapes, sizes, backgrounds, and abilities. We strive to help children to grow and develop - as well as to learn to love the games of baseball and softball. We hope you will join us on the fields.